"Additive Manufacturing Safety" describes the various safety hazards involved in additive manufacturing (AM) and the precautions operators should follow to protect themselves. AM methods and processes involve the use of moving and hot components, hazardous materials, and devices that produce radiation. Operators must be aware of these hazards as well as the safety protocols used to reduce them. For example, all AM materials have specific handling guidelines, including the required personal protective equipment (PPE) and ventilation for that material. Though many AM safety protocols will be familiar to anyone who has worked in a manufacturing environment, there are also hazards unique to AM. Knowing these hazards and safety precautions will help ensure that an AM operation runs smoothly, efficiently, and safely. After taking this class, users will be able to identify AM hazards, understand common safety standards, and safely operate AM equipment. Describe additive manufacturing and the importance of AM safety. Describe different types of personal protective equipment. Describe AM mechanical hazards and how to protect against them. Describe AM electrical hazards and how to protect against them. Describe AM thermal hazards and how to protect against them. Describe AM radiation hazards and how to protect against them. Describe AM airborne hazards and how to protect against them. Describe proper cleanup and disposal for AM methods. Describe the information on a Hazard Communication Standard label. Describe maintenance and lockout/tag-out procedures. absorbent material A substance that can draw in and hold a large amount of liquid. Absorbent materials are used to clean chemical spills to help ensure that the chemical is completely removed from the area or surface. adapters A device that converts alternating current to direct current or connects incompatible electrical sources and devices. Adapters should not be used with additive manufacturing machines because they lead to electrical hazards. additive manufacturing AM. The process of successively layering materials to make an object based on a three-dimensional computer model. Additive manufacturing allows for rapid prototyping, mass customization, and increased part complexity. adhesive A substance, such as glue, that bonds two surfaces together. Adhesives are used in some sheet lamination operations to fuse part layers. air filtration unit A ventilation component containing a mesh fiber or other medium to remove harmful components from the atmosphere. Air filtration units are used in a variety of ventilation systems, including personal respirators and general ventilation setups for a work area. airbrushing A painting process that uses an air-powered device that turns the paint into a fine mist. Airbrushing quickly creates a thin, even coating of paint. alloys An element intentionally added to a metal to improve its properties or a combination of materials that takes advantages of properties of all the combined materials. Alloys of metal are often used to ensure parts have optimal functionality. aluminum A nonferrous, silvery-white metal that is soft and light. Aluminum is considered a reactive metal, particularly when alloyed with other reactive metals. AM Additive manufacturing. The process of successively layering materials to make an object based on a three-dimensional computer model. AM allows for rapid prototyping, mass customization, and increased part complexity. antistatic footwear A shoe or shoe covering made of material that resists the flow of electricity. Antistatic footwear helps prevent operators from building up static charge or serving as a conduit for electricity. antistatic mats A mat made of material that conducts electricity away from a person or object and into the ground. Antistatic mats can prevent static electricity discharge that could start a fire. aprons Protective clothing that is tied on to protect the torso and upper legs. Aprons are usually used to provide extra protection when working with hazardous liquids. assembly The process of fitting components together into a larger or completed part. Assembly includes inserting components into a final part or mechanically joining components together. automated Run by a preprogrammed mechanical system with little to no human intervention. Automated machines can help increase the efficiency of a process. band saw A cutting device that uses a serrated blade constructed from a continuous loop or band of metal. Band saws are used in additive manufacturing post-processing to remove metal parts from build plates. binder A material that holds together two or more other materials. A binder is used to hold together powdered metal and make it a solid part in binder jetting additive manufacturing processes. binder jetting An additive manufacturing process in which liquid binder is used to join powdered materials to create part. Binder jetting can create parts out of metal, plastic, or ceramic. blocks Any device used to lock a machine component in place. Blocks are used when a machine component can still move even if it is not energized. build chambers The area contained within the additive manufacturing machine where the part is actually built. Many build chambers are enclosed to improve the safety of the manufacturing operation. build material The substance used to create an additive manufacturing part. Build material includes metal, plastic, and ceramics. build plate The removable platform in an additive manufacturing system that supports the in-process part. A build plate is commonly used in metal powder bed fusion operations. build platform The flat surface on which a part is additively manufactured. The build platform, used in all additive manufacturing methods, can either be a permanent surface from which parts are removed or a surface that can be removed from the machine once the build is complete. cancer Malignant cell growth that surrounds and invades healthy tissue. Cancer can be caused by prolonged exposure to infrared (IR) and ultraviolet (UV) radiation. casting A manufacturing process were a metal part is formed by pouring molten metal into a mold and letting it solidify into its final shape. The molds used in casting are sometimes made using additive manufacturing processes. ceramics A hard, brittle material that can withstand high temperatures and resist corrosion. Ceramic parts can be created through additive manufacturing processes such as binder jetting and selective laser sintering (SLS). chemical baths A specialized solution that an operator dips an additively manfuactured part into in order to remove support structures. A chemical bath is formulated to dissolve support structures without harming the part. chemicals Any element, compound, or mixture of elements and/or compounds. Chemical fires must be put out using the properly rated fire extinguisher. circuits A completely enclosed electrical path consisting of various devices that transmit or control electricity. Circuits are used in computers and automated manufacturing equipment, such as additive manufacturing machines. Class-D A type of fire extinguisher rated for putting out fires caused by combustible metals. Class-D fire extinguishers use dry powder to put out fires. contact burns Skin damage from touching an overheated component or other object. Contact burns can occur when poor electrical connections cause an exposed device or component to dangerously overheat. coveralls Protective clothing that covers the entire body from the wrists to the ankles. Coveralls provide good general protection for the skin against hazards like skin irritants. curing The process of hardening a material through exposure to heat or another hardening agent, such as ultraviolet (UV) light. Curing is used to harden brittle additively manufactured parts created using powder-based methods and parts made from liquid photopolymer. DED Directed energy deposition. An additive manufacturing method in which focused thermal energy is used to melt materials as they are deposited. DED is often used with powdered metal or metal wire. dedicated circuit A power supply that is used for a single device that requires a large amount of electricity. Dedicated circuits are used with additive manufacturing machines to prevent electrical hazards such as overloads. de-energizing Removing electrical power. De-energizing an additive manufacturing machine usually involves unplugging the machine, disconnecting the power cord, or turning off the circuit breaker associated with the machine. denatured alcohol A solvent created by combining ethanol with additives that increase its cleaning properties and render it poisonous. Denatured alcohol is used to clean some AM machines that create parts with liquid photopolymer, such as vat photopolymerization or material jetting machines. direct metal laser sintering DMLS. An additive manufacturing process that uses a laser to bond successive layers of material in a bed of powdered metal. Direct metal laser sintering can produce complex metal parts, though they often require extensive post-processing. directed energy deposition DED. An additive manufacturing method in which focused thermal energy is used to melt materials as they are deposited. Directed energy deposition is often used with powdered metal or metal wire. ductwork A series of connected pipes or enclosed areas that provide a pathway for air. Ductwork is used to transport contaminated air away from operators or to bring in clean replacement air. dust mask A protective nose and mouth cover that filters out some airborne particles. Dust masks are effective in filtering out large particles, such as sand used in binder jetting, but cannot filter out smaller debris, such as nanoscale metal and plastic particles. electrical Related to electricity or devices that conduct electricity. Electrical hazards include frayed power cables and improperly grounded machines. electrical shock The flow of electricity through the body. Electrical shock can be fatal at high enough levels, generally starting around 0.01 amperes of current. electricity A form of energy created by the movement of electrons. Electricity can be converted into light, heat, or motion. electron beam A narrow stream of focused electrons that create thermal energy. An electron beam is used in a number of additive manufacturing processes, such as directed energy deposition (DED) and direct metal laser sintering (DMLS). electroplating A coating method that uses electricity and a conductive solution to deposit a layer of plating metal on a metal or nonmetal workpiece. Electroplating presents chemical, electrical, and mechanical hazards to operators. enclosures An assembly that completely encases an area, often a build area in manufacturing. Many larger additive manufacturing machines have lockable enclosures surrounding their build area to prevent injury. energy-isolating mechanism A mechanical device that physically prevents the transmission or release of energy, such as a circuit breaker or valve. Energy-isolating mechanisms must, if possible, be locked out before an operator begins any maintenance or repairs. exhaust hoods A ventilation component that uses high-power suction to capture contaminated air at the source. An exhaust hood can be designed to fit over the entire area taken up by an additive manufacturing machine. exhaust system An interconnected series of devices and pipes that move contaminated air away from the point of contamination. Exhaust systems often include ventilation hoods and ductwork. extension cords A type of flexible wiring that extends the range of a power cable. Extension cords are not recommended for use with devices that require a large amount of electricity. face shields A protective device that guards the face and eyes from debris. Face shields can also be designed to protect users from intense light and infrared (IR) or ultraviolet (UV) radiation. filaments An extremely thin strand of material. Filaments of thermoplastic material are used by some material extrusion additive manufacturing processes to build parts. filing Using a file with small, sharp teeth to smooth out the surface of metal by abrasion. Filing removes sharpness and improves surface finish. filtered glass A transparent amorphous solid with tint or other protective substances added. Filtered glass can protect operators from radiation while still allowing visibility of a process that emits radiation. filters A screen or mesh used to limit airborne contamination by trapping very fine and fine particulate matter from the air. Filters must be replaced regularly to ensure their effectiveness. filtration systems A device or series of devices that mechanically routes air through a filter or series of filters to remove contaminating particles from the air. A filtration system may be a part of an additive manufacturing machine or a separate machine. fire extinguishers A portable device that uses a rapid spray of chemicals to put out small fires. Properly rated fire extinguishers should be on hand for any additive manufacturing operation. first-aid Initial and quick medical assistance. First aid is used to help an injured or ill operator before professional help arrives. flammable A material that can easily ignite and start a fire. Flammable materials, such as paper and solvents, should be kept away from active additive manufacturing machines. flexible wiring A type of movable electrical connector not intended for permanent use. Flexible wiring is prone to wearing since it is often moved and readjusted. forming A general category of metalworking processes that involve bending, separating, or shaping sheet metal using punches and dies. Forming creates a part through reshaping metal, rather than cutting it. fume extractors A device that uses suction to remove hazardous gas and fumes from a work environment. Fume extractors are used, along with respirators, to keep additive manufacturing operators from breathing contaminated air. fumes Vapor that is hazardous to inhale. Additive manufacturing processes, such as material extrusion using plastic, can create fumes. gloves Protective hand covers that reduce the risk of injury and exposure to hazardous material. Gloves are used by additive manufacturing machine operators to limit exposure to build materials and high-temperature parts and components. goggles A type of tight-fitting eye protection that completely covers the eyes, the sockets, and the surrounding facial area. Goggles offer protection from impact, debris, and splashes. grinding A subtractive manufacturing process used to improve surface finish and bring parts into close tolerance. Grinding is used as a post-processing procedure in additive manufacturing. grounded Connected to an electrically neutral body that can absorb an electrical force. Additive manufacturing machines must be grounded, usually through the outlet or power connection. Hazard Communication Standard HCS. An established OSHA policy that sets guidelines for communicating information about hazardous materials, including handling and disposal. The Hazard Communication Standard emphasizes labeling, the use of safety data sheets (SDS), and operator training, and is aligned with the Globally Harmonized System (GHS). hazards A source of danger or possible injury. Additive manufacturing hazards include heavy materials and equipment, potentially harmful materials and fumes, and fire. HCS HCS. An established OSHA policy that sets guidelines for communicating information about hazardous materials, including handling and disposal. The Hazard Communication Standard emphasizes labeling, the use of safety data sheets (SDS), and operator training, and is aligned with the Globally Harmonized System (GHS). heat treatment Controlled heating and cooling processes used to change the structure of a material and alter its physical and mechanical properties. Heat treatment is often used to improve the hardness and durability of an additively manufactured part. hoods A protective barrier that can be lowered on a hinge to completely enclose an area. Hoods are commonly used to enclose a build area in additive manufacturing and preserve operator safety, particularly in the binder jetting and material jetting methods. ignition sources Any device or event capable of causing a fire or explosion. Ignition sources include open flames, sparks, static electricity, and hot surfaces. inert Not chemically reactive. Inert gases provide an atmosphere that does not support chemical reactions that could cause corrosion or fire. infrared radiation IR radiation. The energy emitted by light sources with wavelengths just longer than red light. Infrared radiation, which cannot be seen with the human eye, can cause eye and skin irritation. lasers A device that generates an intense beam of light that can be precisely aimed and controlled. Lasers are used to selectively solidify or combine materials in a number of additive manufacturing processes, including selective laser sintering (SLS), vat photopolymerization, and directed energy deposition (DED). leather Fabric made from cow hide. Leather provides protection from heat and other thermal hazards. liquid photopolymer A type of fluid plastic that cures and hardens when exposed to light. Liquid photopolymers are used in material jetting and vat photopolymerization. lockout A method of protecting employees from accidental machine startup through proper locking or blocking of machines that are undergoing maintenance. Proper lockout physically prevents the machine from being turned on or moving. lockout devices A safety device that holds an energy-isolating device in the safe or "off" position, covers the switch so that it is inaccessible, or prevents machine components from moving. Lockout devices are typically used with tag-out devices. lockout/tag-out A method of protecting operators from accidental machine startup through proper locking and labeling of the machine. Lockout/tag-out is an essential practice for safe maintenance and repair of machines. lymph system The organs, tissues, and structures in the body that help remove toxins and other undesirable substances. The lymph system can malfunction after prolonged exposure to ultrafine particles (UFPs). material extrusion An additive manufacturing process that uses a nozzle to dispense material, usually a thermoplastic filament, onto a support. One example of material extrusion is the fused deposition modeling (FDM) process. material jetting An additive manufacturing process in which droplets of build material are selectively deposited onto a build platform. Material jetting systems use a photopolymer that is cured by ultraviolet (UV) light. mechanical properties The collection of properties that describe a material's ability to compress, stretch, bend, scratch, dent, or break. Mechanical properties include hardness, ductility, and tensile strength. melt pool An area of liquefied material, usually metal. Melt pools are created in directed energy deposition (DED) in order to fuse powdered metal or metal wire in layers to form a solid part. metals A hard, strong material that conducts electricity and heat. Metal powders are used in additive manufacturing to create solid, finished metal parts. nanometers One billionth of a meter. Nanometers can be used to describe the size of the ultrafine particles (UFPs) used in additive manufacturing. nanoscale A range measuring between one and 100 nanometers. Nanoscale particles are, individually, smaller than the human eye can see and can cause harm when inhaled or otherwise absorbed. nervous system The collection of cells and connective fibers that carry impulses throughout the body. The nervous system may begin to function irregularly after prolonged exposure to ultrafine particles (UFPs). non-sparking tools An implement made of nonferrous materials that resist generating small particles of fire. Non-sparking tools should be used in any powder bed fusion or directed energy deposition (DED) operation. nozzles A spout at the end of piping or tubing through which substances are funneled. Nozzles are used to distribute build material in a material extrusion additive manufacturing process. Occupational Safety and Health Administration OSHA. A government agency that sets the standards for working conditions in the United States. The Occupational Safety and Health Administration ensures that employees work in safe and healthy environments. operators A person trained to run a specific machine. Operators are responsible for ensuring that a machining process runs properly, efficiently, and safely. OSHA Occupational Safety and Health Administration. A government agency that sets the standards for working conditions in the United States. OSHA ensures that employees work in safe and healthy environments. ovens An enclosed heating device. Ovens are used in additive manufacturing post-processing to cure, or harden, metal parts or infiltrate another metal into the part. overloaded Burdened by a level of current that exceeds the recommended level for a device or circuit. Overloaded devices can cause fires and electric shock. oxygen A colorless, odorless, tasteless gas that naturally exists in the atmosphere. Oxygen serves as fuel for fire and must be kept away from flammable materials when possible. particles An extremely small portion of a material. Particles include everything from dust to metal powder. pellets A very small, round ball of material. Pellets of thermoplastic material are used by some material extrusion additive manufacturing processes to build parts. personal protective equipment PPE. Any clothing or device worn to minimize exposure to hazards or prevent injury. Common additive manufacturing personal protective equipment includes gloves, safety goggles, and nonflammable clothing. physical properties A set of characteristics that describe how a material responds to environmental, thermal, electrical, and magnetic forces. Physical properties describe how a material reacts to forces other than mechanical forces. pictograms An illustration of a hazard that is intended to be understood even if the viewer cannot read. There are eight pictograms required for use on labels by OSHA and the Global Harmonized System (GHS). pliers A pincer-shaped tool with flat gripping surfaces used to hold objects or bend wire. Pliers can be used to remove support structures from additive manufacturing parts. polymers A natural or synthetic material group that consists of very large molecules held together by either a secondary bond or a primary bond. Polymers include silk, nylon, rayon, and plastics. post-processing A procedure used to clean, improve, or otherwise finish a part for use by a manufacturer or consumer. Post-processing additively manufactured parts includes abrasive finishing, heat treatment, and painting. powder bed fusion An additive manufacturing process that uses adhesives, heat, or light to bond areas in a container of powdered plastic, metal, ceramic, or other material. Powder bed fusion processes include binder jetting, selective laser sintering (SLS), and direct metal laser sintering (DMLS). power strips An electrical device that converts a single plug into a series of plugs. Power strips can cause overloads to an electrical circuit if used with devices that require dedicated circuits, such as additive manufacturing machines. PPE Personal protective equipment. Any clothing or device worn to minimize exposure to hazards or prevent injury. Common additive manufacturing PPE includes gloves, safety goggles, and nonflammable clothing. printer head The moving component on certain additive manufacturing machines that holds and distributes build material. Printer heads are used in material jetting machines. pulmonary fibrosis A disease resulting from the formation of scar tissue in the lungs. Pulmonary fibrosis can be caused by breathing in additive manufacturing metal powder. pyrophoric Ignites easily. Pyrophoric materials, such as powdered metal or plastic used in additive manufacturing, catch fire easily and must be used with proper safety precautions. radiation Energy emitted in the form of particles or waves. Radiation from infrared (IR) and ultraviolet (UV) sources, such as lasers or UV lights, can be hazardous. reactive metal A type of metal that undergoes a chemical reaction, including igniting, when exposed to elements such as oxygen, hydrogen, or nitrogen. Reactive metals include titanium, nickel, and magnesium. respirators A breathing device with a very fine filter worn to prevent the inhalation of hazardous gases or fumes. Respirators are worn by additive manufacturing machine operators to reduce exposure to powdered material in the air and fumes produced by the additive manufacturing process. rollers A cylindrical device used in additive manufacturing to either deposit and level build material or fuse layers of a part together. Rollers are used to level material in vat photopolymerization and powder bed fusion methods and to fuse layers together in sheet lamination methods. rubber An elastic material made from organic or artificial latex. Rubber provides good insulation against electrical current and protection from many chemical compounds. safeguards A device or procedure used to prevent injury or harm. Safeguards include mechanical devices, such as enclosures, and procedural steps, such as de-energizing machines before cleaning them. safety data sheets SDS. Mandatory information that must accompany almost every chemical in the workplace except for items like cleaning supplies. A safety data sheet includes details such as the precautions and first-aid procedures associated with exposure to a chemical. 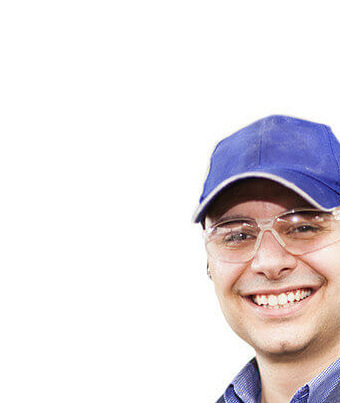 safety glasses Protective eyewear with metal or plastic frames and impact-resistant lenses. Safety glasses may also be fitted with filtered glass to provide protection against infrared (IR) or ultraviolet (UV) radiation. sanding A gentle grinding process that uses a fine-grain abrasive to remove small amounts of surface material. Sanding is often performed manually and can moderately improve the surface finish of a part. scraper A tool with a handle and a wide, flat blade. Scrapers are used in additive manufacturing to separate plastic parts from build platforms. seals A rubber lining that creates an air-tight seal between two components. Seals line the doors of additive manufacturing machine enclosures and hoods. sheet lamination An additive manufacturing process that forms an object by bonding sheets of material together using an adhesive, heat, or pressure. Sheet lamination processes, including ultrasonic additive manufacturing (UAM) and laminated object manufacturing (LOM), are not commonly used in manufacturing operations. shin guards A device that fits over the lower legs to protect against heat, impact, and other hazards. Shin guards are often made from leather or plastic. short circuit An interruption in the intended flow of electricity. Short circuits can damage equipment and generate sparks. smoke detectors A device that generates an alarm in the presence of smoke. Smoke detectors are essential safeguards for additive manufacturing operations. solvent A chemical used to dissolve other materials and substances. Solvents present potential respiratory and skin hazards for machine operators. static electricity An electrical charge caused by the buildup of friction in a person or object. Static electricity can be controlled through the use of machine grounding or safety accessories such as antistatic mats and footwear. steel-toed boots Footwear with a steel plate built into the toe area. Steel-toed boots help protect feet from damage from falling objects. stepper motors A type of electrical device that creates mechanical movement in small, precise increments. Stepper motors are often used to move mobile components, such as nozzles or sweeper bars, in additive manufacturing. sweeping bars A rectangular device used in some additive manufacturing methods to deposit and/or level build material. Sweeping bars are commonly used in vat photopolymerization, powder bed fusion, and binder jetting methods. tag-out device A prominent warning label, such as a tag, that can be securely attached to a machine or power source to alert operators that equipment is not to be operated until the tag is removed. Tag-out devices are often used in conjunction with lockout devices. thermoplastic A group of plastics that can be repeatedly heated, cooled, and shaped. Thermoplastics are often used in material extrusion additive manufacturing processes. three-dimensional 3D. Having length, depth, and width. Three-dimensional structures are created during additive manufacturing processes. toe guards A device that fits over the toes of regular shoes to protect toes from being crushed by falling objects. Toe guards may be made from aluminum, steel, or plastic. tongs A scissor-like device that allows operators to pick up parts from a slight distance. Tongs allow operators to pick up parts that would be hazardous to touch or place parts in hazardous areas such as a chemical bath. traditional manufacturing A manufacturing process that involves creating a part by shaping or removing material from a workpiece or assembling components. Traditional manufacturing operations include metal cutting and forming. turning A machining operation where a cylindrical workpiece is rotated while a single-point tool is guided along the length of the part. Turning is one of the most common subtractive manufacturing operations. ultrafine particles UFPs. Microscopic airborne particulates from natural or industrial sources. Inhaling ultrafine particles created when heating thermoplastic or moving additive manufacturing metal powder can lead to respiratory problems. ultraviolet UV. A potentially harmful wavelength of light that is below, or shorter, than violet on the light spectrum. Ultraviolet light is used to selectively solidify build materials in vat photopolymerization and material jetting processes. ultraviolet radiation UV radiation. The energy emitted by light sources with wavelengths slightly smaller than violet light. Ultraviolet radiation, which cannot be seen with the human eye, can lead to serious skin and eye issues with prolonged exposure. UV Ultraviolet. A potentially harmful wavelength of light that is below, or shorter, than violet on the light spectrum. UV light is used to selectively solidify build materials in vat photopolymerization and material jetting processes. vat photopolymerization An additive manufacturing process in which a part is built by curing layers of a photo-reactive resin with an ultraviolet (UV) laser. Vat photopolymerization is often used for making softer parts that require a high degree of customization such as dental aligners or hearing aids. ventilation A means of providing clean air or cleaning and re-circulating air. Ventilation is used to keep an area free of airborne contamination or hazardous fumes. ventilation system A series of devices designed to remove potentially hazardous air from a work area and replace it with clean air. Ventilation systems are often composed of ductwork, exhaust hoods, filters, and fans, among other components. voltage The electrical force or pressure that causes current to flow in a circuit. Voltage is measured in volts and is potentially hazardous at high enough levels. wet separator A type of vacuum cleaner filled with a liquid. Wet separators are used to neutralize potentially flammable debris such as metal additive manufacturing powder. wire electrical discharge machining Wire EDM. A material removal process where electricity is fed through a thin strip of metal in order to shape or separate parts. Wire electrical discharge machining is often used to accurately cut metal additive manufacturing parts from the build plate. wool A fabric made from sheep fur. Wool is flame resistant and a good fabric choice for operators working with potentially flammable materials.